CDMA, or Code Division Multiple Access, is a competing cell phone service technology to GSM which is the world’s most widely used cell phone standard. CDMA uses a “spread-spectrum” technique whereby electromagnetic energy is spread to allow for a signal with a wider bandwidth. This allows multiple people on multiple cell phones to be “multiplexed” over the same channel to share a bandwidth of frequencies. With CDMA technology, data and voice packets are separated using codes and then transmitted using a wide frequency range. Since more space is often allocated for data with CDMA, this standard became attractive for 3G high-speed mobile Internet use. CDMA phone i-mobile was invented in a shape of bar appearance style. This CDMA unit frequency band were fixed into 2 category which is was in 800mhz and 450mhz/800mhz. 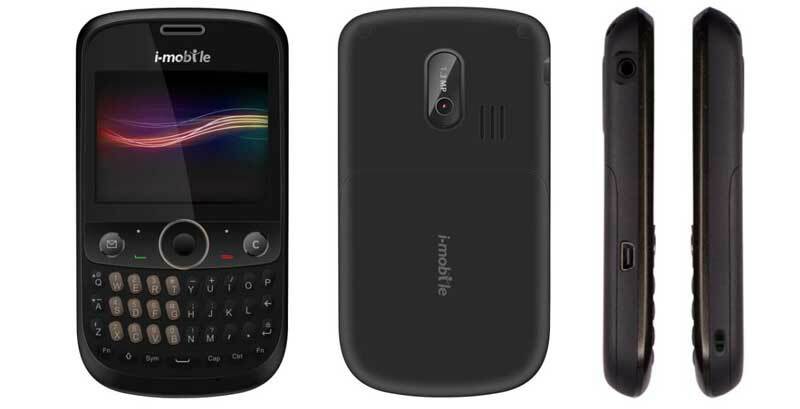 i-mobile CDMA phone was designed with qwerty keypad interface and performed with 1.3 megapixcel camera equipment located behind of the CDMA phone unit. The i-mobile rechargeable battery also supporting the unit CDMA with capacity 3.7 volt/ 1000 mah. This CDMA phone also providing the usage of micro SD Card for the user who intent a better memory solution. The software indicated a function of main menu browser linked into the general setting, tools, profiles, phonebooks, messages, players and others interesting function. The CDMA phones power indicator located side by side with signal strength bar indicator. Therefore, for those who owned the i-mobile phone CDMA. The user will enjoying the simple invention of technology from i-mobile upon to the up to dates latest new facelift and design.